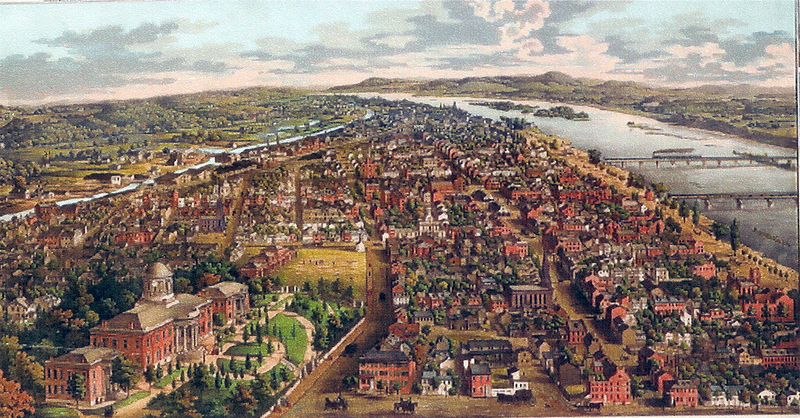 City of Harrisburg, Pennsylvania, 1855.
Credit: Library of Congress Geography and Map Division Washington, D.C. In June, 1863, Robert E. Lee seemed to have his sights set on Harrisburg, Pennsylvania's state capital. As Lee's Army of Northern Virginia moved ever closer, Pennsylvania Governor Andrew G. Curtin issued a call for the state militia to help repel the Rebels. Since his own state soldiers were slow in forming, New York sent several regiments of organized militia to help defend Harrisburg.